U.S. Marines raised the American flag on Iwo Jima on this day in history1945. In 1980 in a major upset, the U.S. Olympic hockey team defeated the Soviets 4–3 at Lake Placid, New York. The first nationwide broadcast of Mr. Roger’s Neighborhood aired on PBS on this day in history 1968. Clyde Tombaugh, an American astronomer, discovered the ninth planet Pluto on this day in history 1930. The Confederate submarine Hunley, rammed and sank the Union’s ship Housatonic off the coast of Charleston, South Carolina in 1864. In the year 1923 the tomb of King Tutankhamen, discovered in 1922, was opened. The USS Maine blew up in Havana harbor in 1898, starting off the Spanish-American War. Dolly the sheep, the first cloned mammal, was euthanized in 2003 because of incurable lung cancer. 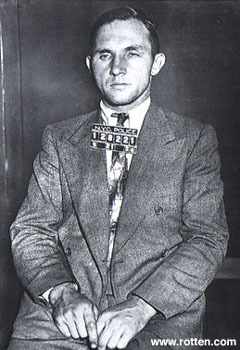 Bruno Hauptmann was found guilty of murder in the Lindbergh kidnapping case in the year 1935. On this day in history 1909 the National Association for the Advancement of Colored People (NAACP) was founded.